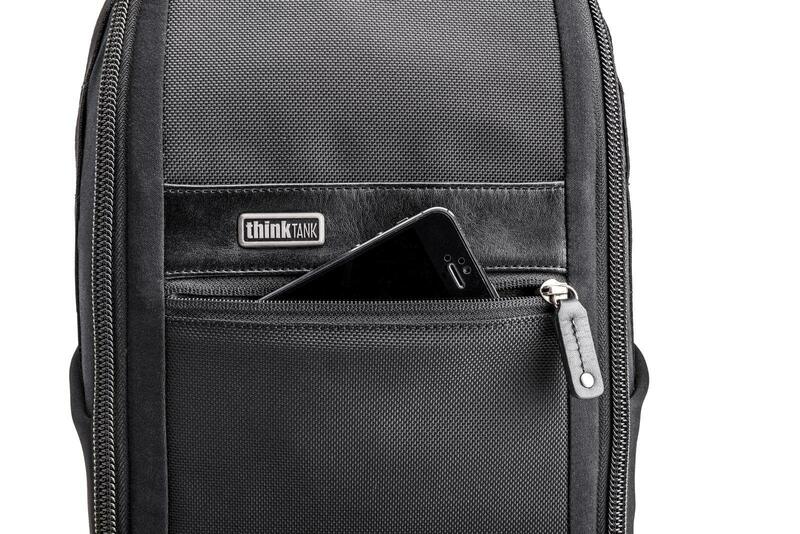 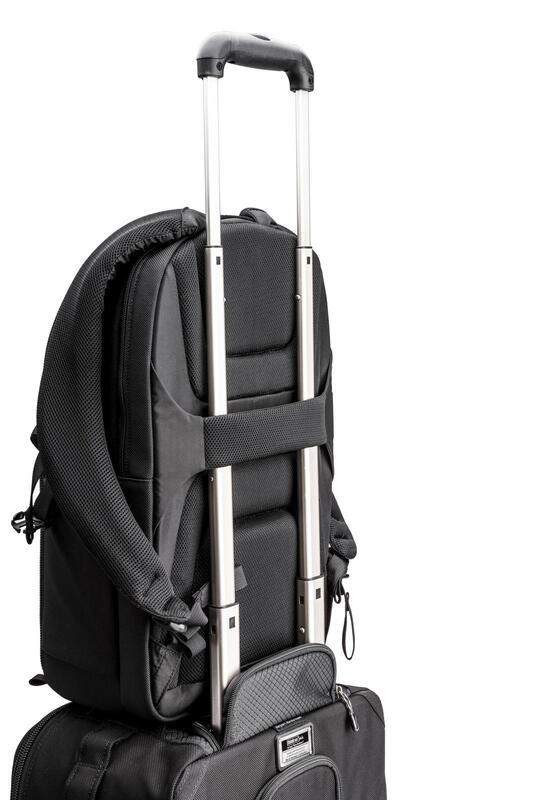 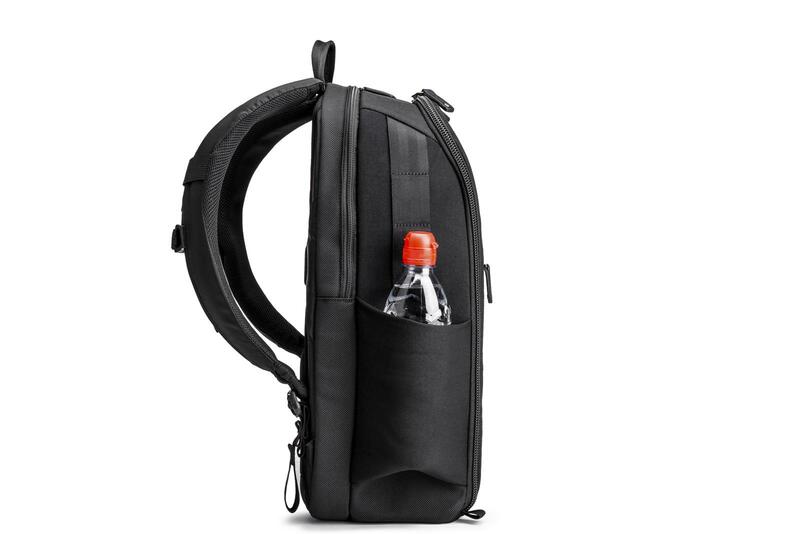 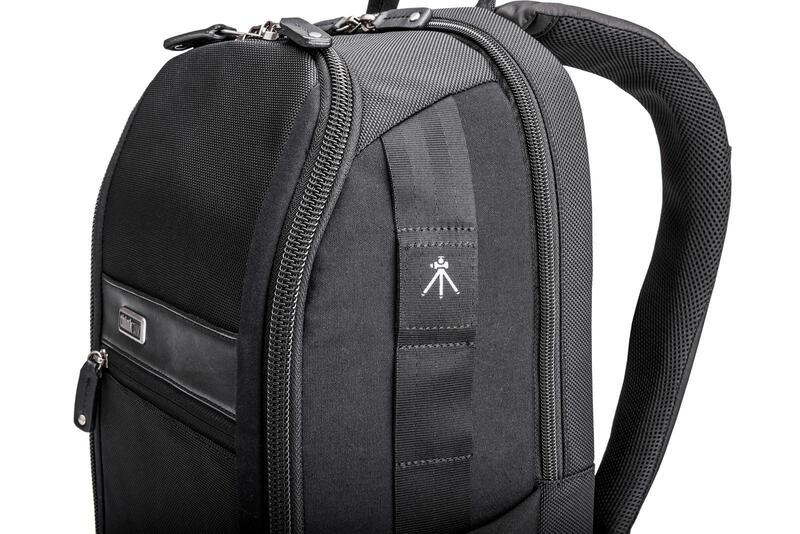 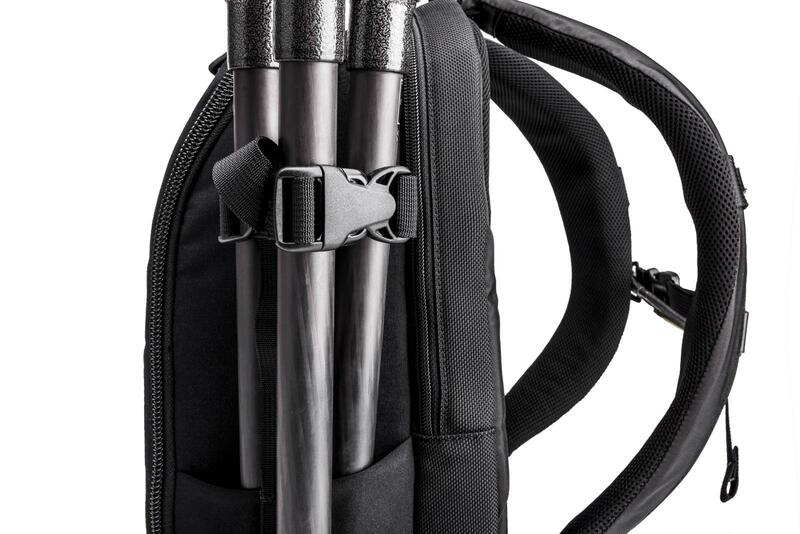 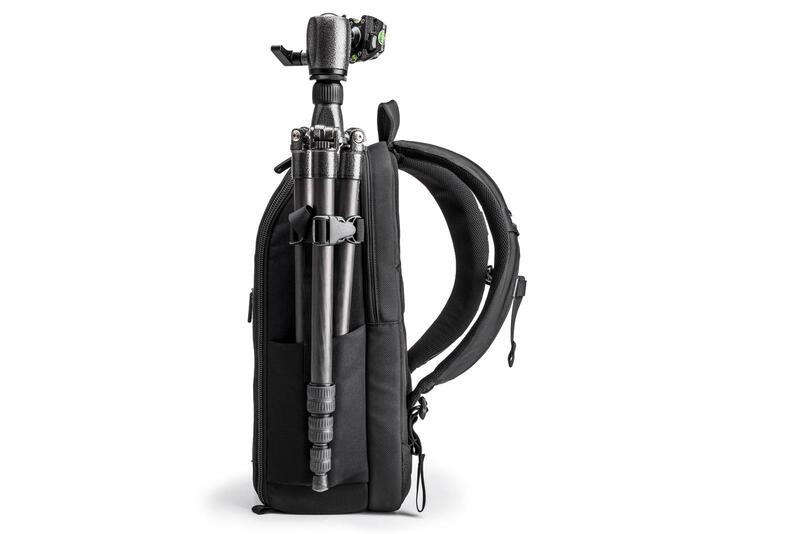 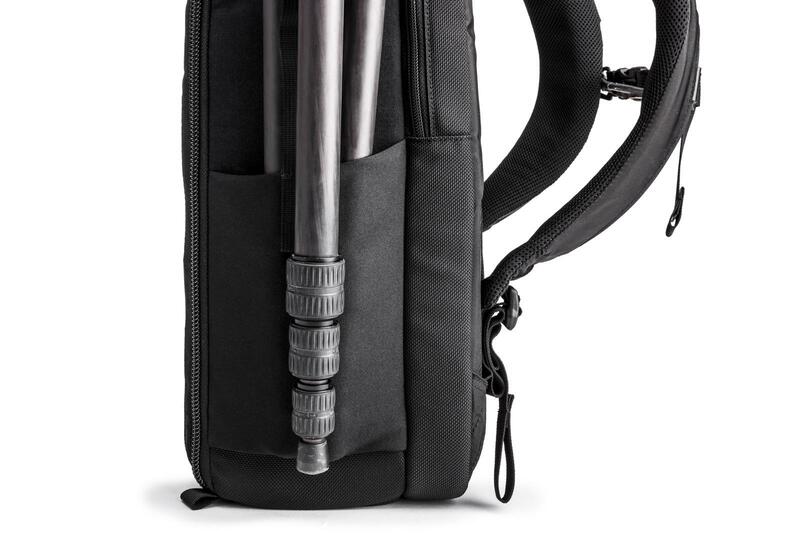 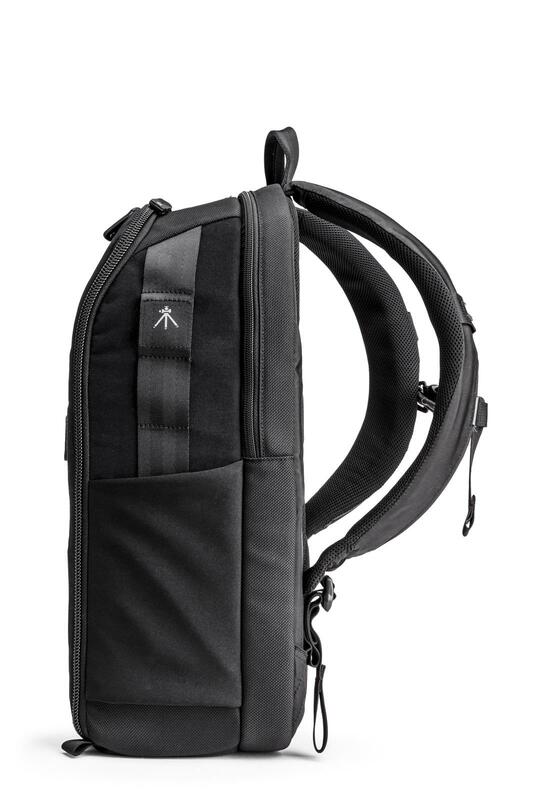 With the Urban Approach 15 you can quickly grab your Mirrorless camera gear and accessories without sacrificing storage, as this bag also holds a 15” laptop, up to a 10” tablet, smart phone and extra space to maximize gear or configure personal items. 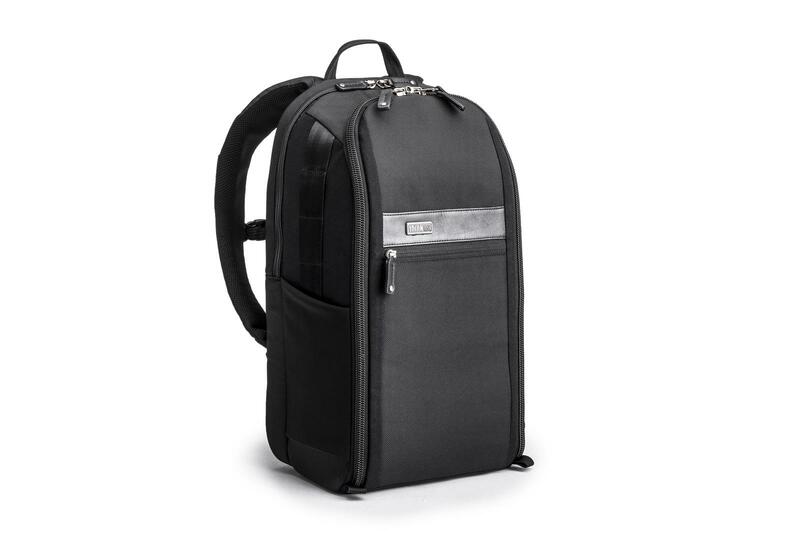 Made with the same timeless look and feel of the Urban Disguise Classic series, the Urban Approach 15 backpack offers plenty of space and protection. 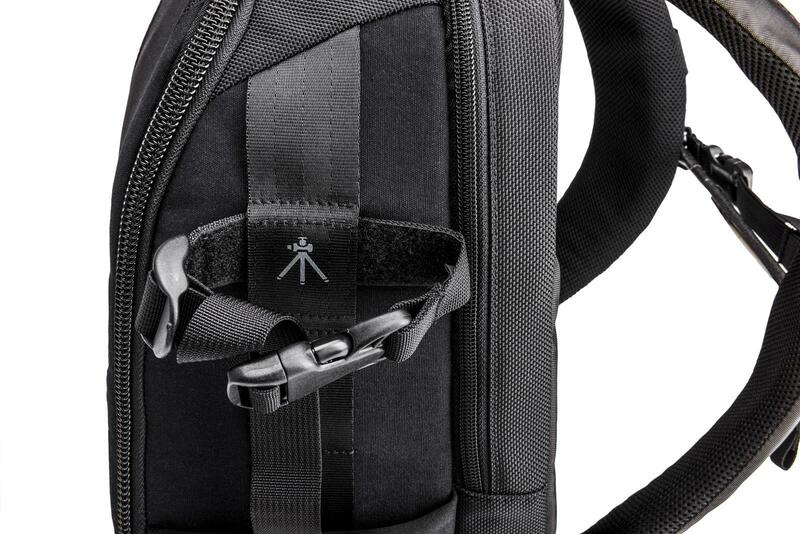 The backpack blends in to any environment with low-contrast and matte black appearance. 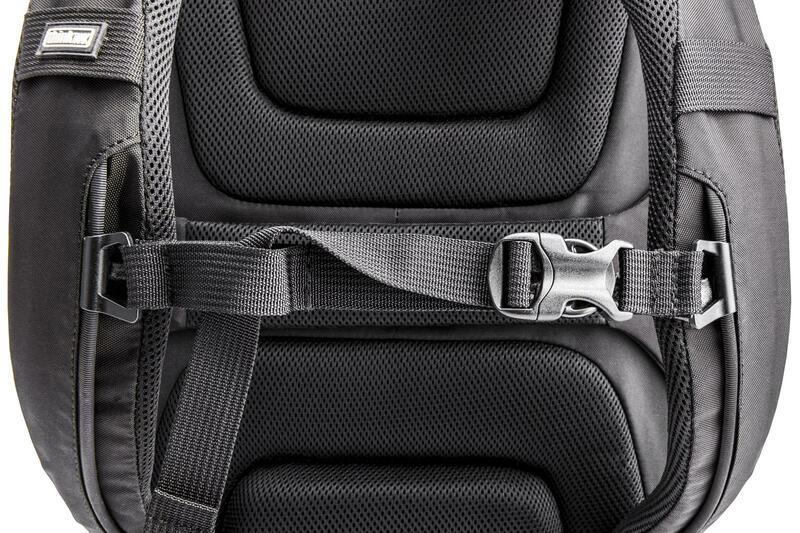 Zippers open wide for complete, unencumbered access to gear. 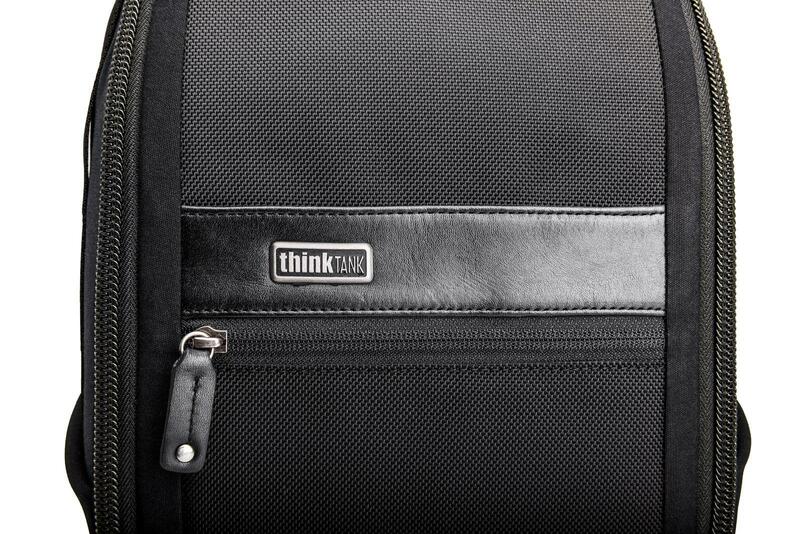 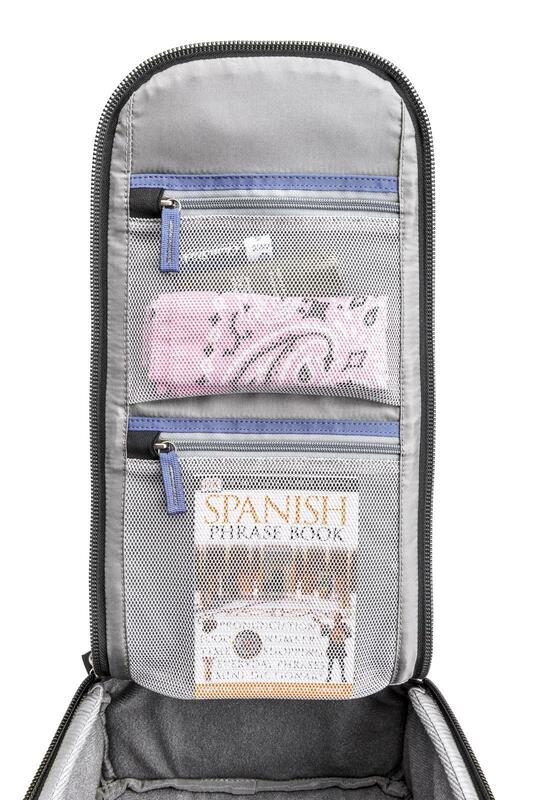 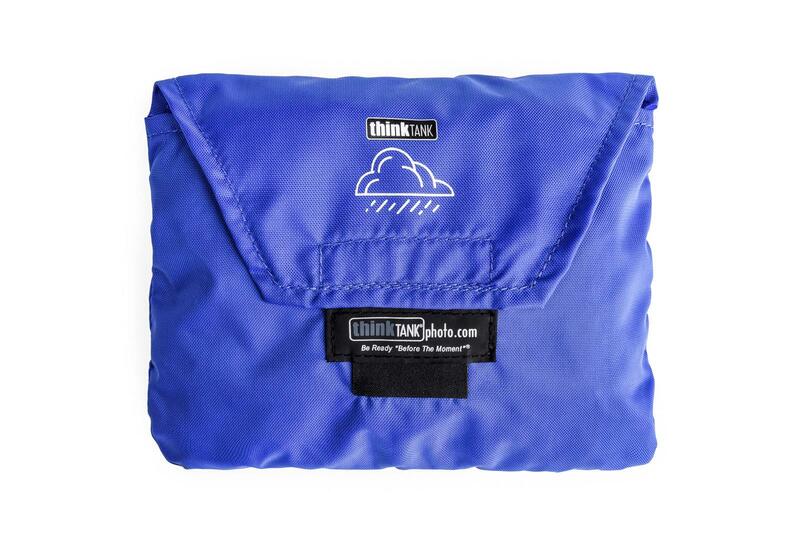 Feel confident that your compact camera and personal objects are cradled, safe and at the ready. 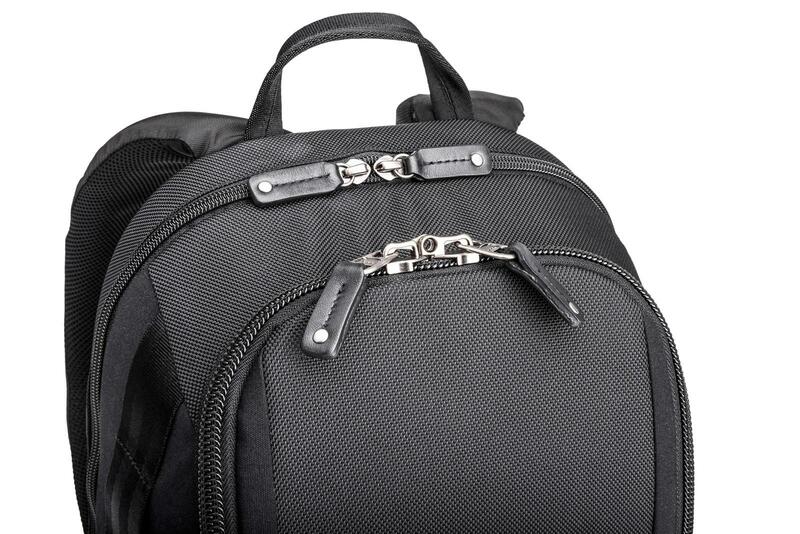 The most durable, long lasting materials on the market, with YKK RC Fuse zippers, 1680D ballistic nylon, metal hardware, nylon seatbelt, and BBG leather accents. 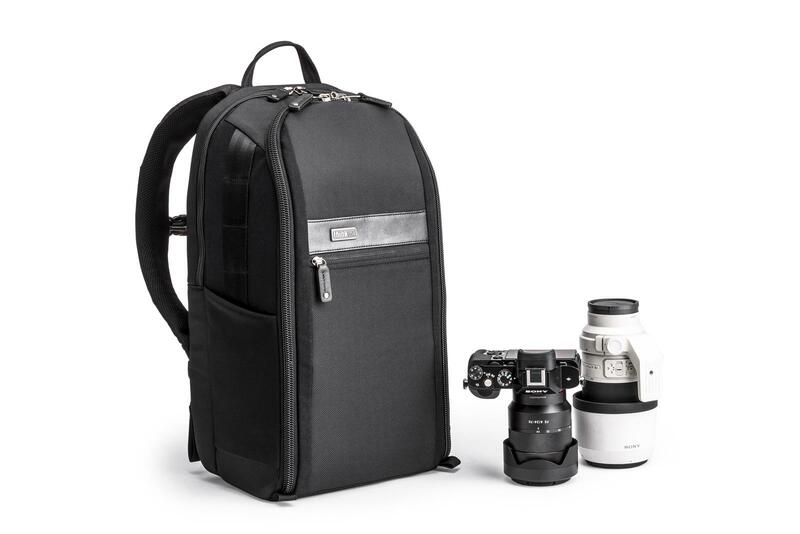 1–2 medium to large Mirrorless bodies with lens attached, 5–8 a dditional lenses, up to a 10” tablet and a 15” laptop. 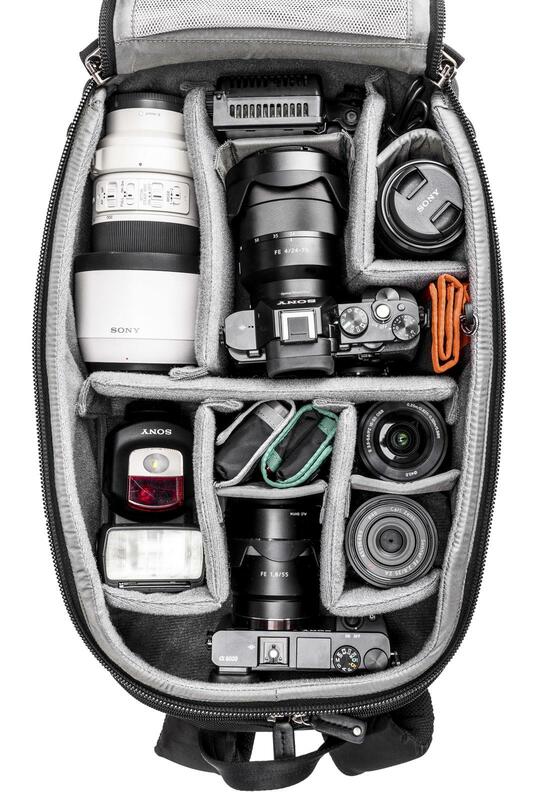 Example 1: Sony A7R with 24–70 f4 attached, 70–200mm f4, 55mm f1.8, 35mm f2.8, Sony A6000 with 16–50mm f3.5-5.6 attached, 55–210mm f4.5-6.3, HVL–F43M Flash (x2), tablet and 15” laptop. 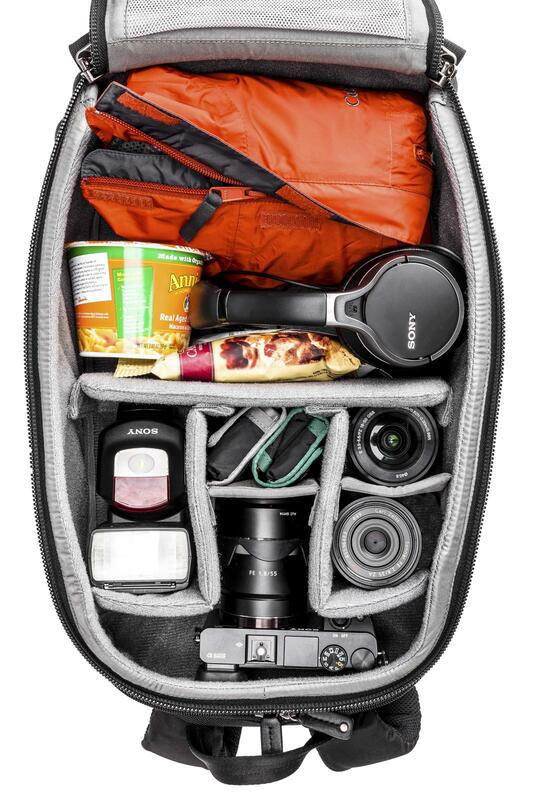 Example 2: Holds a Canon Rebel T5i with 18-55 f3.5-5.6 attached, 55- 250mm f4-5.6, 50mm f1.8, 15” laptop, a tablet and supplies for a days outing. 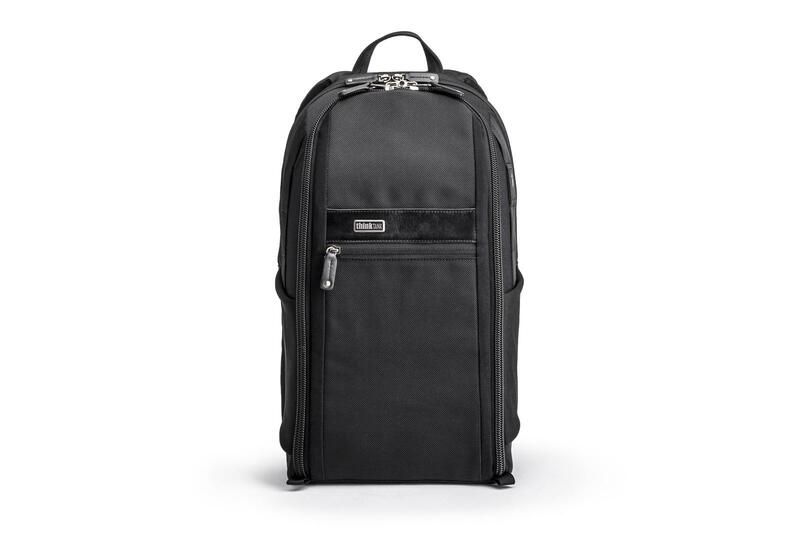 Exterior: For superior water-resistance the exterior has a durable water repellant (DWR) coating, and the underside of the fabric has a polyurethane coating. 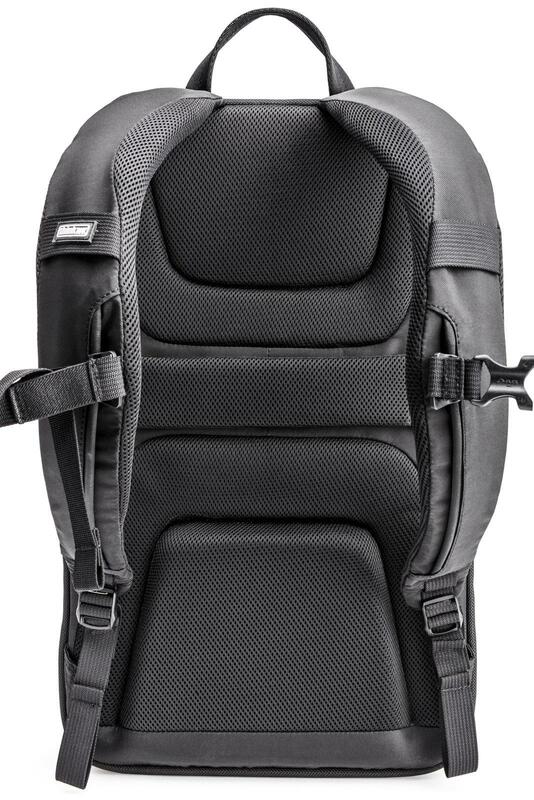 It also has 1680D ballistic nylon, YKK® RC fuse zippers, antique plated metal hardware, 420D high density nylon, ultra-stretch mesh, nylon seatbelt webbing, nylon air-mesh, and 3-ply bonded nylon thread. 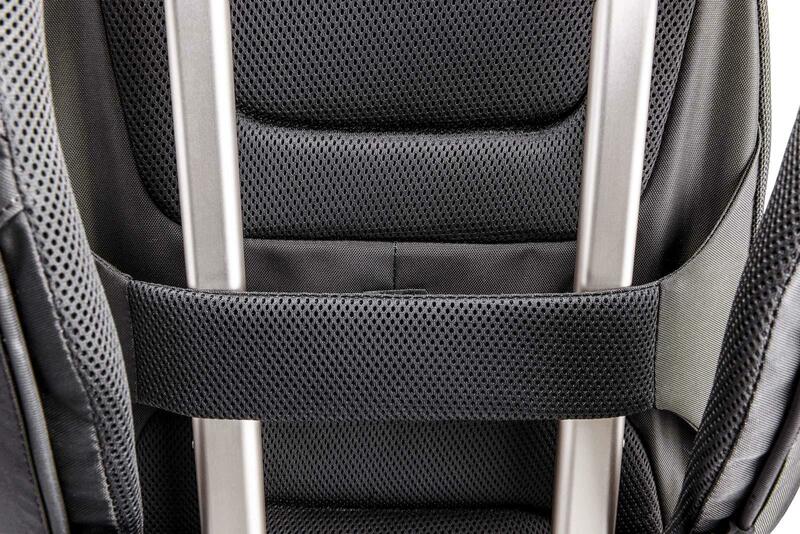 Interior: Removable, closed cell foam dividers, polyurethane backed liner and dividers, 210D silver-toned nylon, nylex, hexa mesh, 2x polyurethane coated nylon, 190T seam-sealed rain cover, and 3–ply bonded nylon thread.